Nicole Hollywood's show of support and kindness embodies the Department’s sense of community. 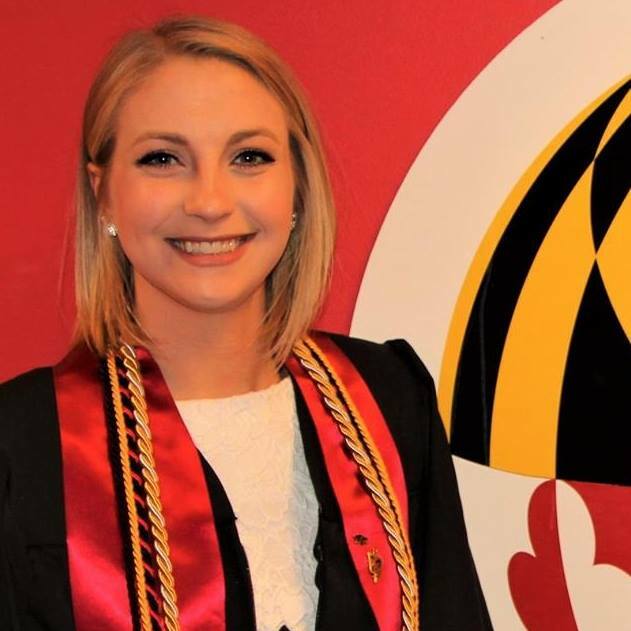 Julie Bryant, a graduate student in the University of Maryland (UMD) Department of Fire Protection Engineering (FPE), is the first recipient of the UL Firefighter Safety Research Institute Fellowship, established for the 2017/2018 academic year. This fund supports a FPE graduate research assistant and will be renewed each semester provided the Fellow remains in good academic standing. UL’s Fire Safety Research Institute (FRSI) researches fire dynamics in contemporary environments to ensure victim and firefighter survival and safety. Bryant’s research topic, currently under development, will fall within this scope. Bryant, a Maryland native, was groomed from a young age for the fire safety field. Bryant’s decision to continue with FPE was solidified at the engineering orientation, during which she met Nicole Hollywood, FPE's Assistant Director of Student Services. Hollywood’s “show of support and kindness embodies the Department’s sense of community,” Bryant emphasized. After joining the Department, Bryant interned at Aon Fire Protection Engineering and the Society of Fire Protection Engineers. On campus, Bryant was a member of Salamander, FPE’s honor society; the Mortar Board National Honor Society, and Tau Sigma. Currently, she is a volunteer EMT and firefighter for Prince George’s County. When Bryant was offered the opportunity to teach the FPE High School Program, (Introduction to Math and Physics through Fire Dynamics course), she wasted no time in accepting.